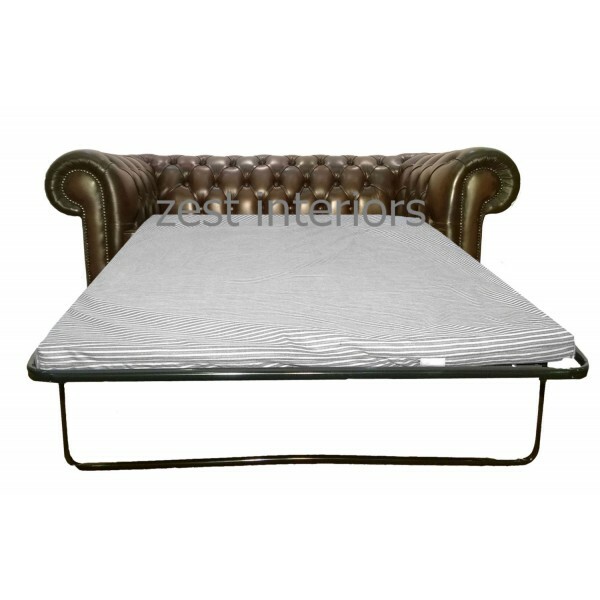 Chesterfield sofa beds are the exact same as standard Chesterfield sofas but contain enough room in the interior for the mechanism that allows the structure to fold out into a bed. The only difference is that Chesterfield sofa beds has removable cushions to allow the bed to fold out – other than that they are identical to other Chesterfield sofas, adding a touch of class to any environment. 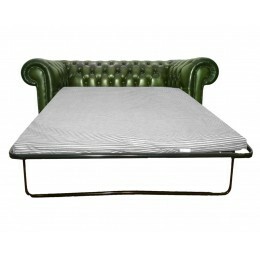 Chesterfield sofa beds make a wonderful seat thanks to the careful hand-crafted design, and they are the perfect solution to a lack of beds for guests. The bed sits low to the ground so that it is completely level with the sofa once the cushions are removed, providing a quality night’s sleep for last minute visitors! Finished with tarnished brass beading along the curve of the arms and polished mahogany feet, Chesterfield sofa beds offer a traditional and classic look which wouldn’t look out of place in a royal establishment. Wherever you decide to place your Chesterfield sofa bed, you can rest assured it is an outstanding investment in the finest workmanship which will provide a comfortable place to sit and sleep for years to come. Here at Zest Interiors you can choose from oxblood red, antique blue, green or brown to upholster your Chesterfield sofa bed in to complement the style of your home. Because each Chesterfield sofa we supply is hand crafted at trusted local suppliers we can’t offer our fast nationwide delivery service. However, once your Chesterfield sofa bed is complete we will deliver it to your home at a time convenient to you. If you would like to know more about our Chesterfield sofa beds and our dining and living room furniture please don’t hesitate to contact us on 0800 085 1422. 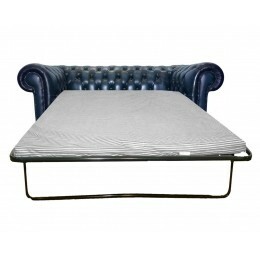 0 Comments To "Stunning Hand Crafted Chesterfield Sofa Beds"